10th December 2015 | filed under Aesthetic Treatments, Health, Non Surgical. In our previous blogs we’ve spoken about what sclerotherapy is as well as reasons why people undergo sclerotherapy treatment. As 30-60% of men and women experience spider veins, particularly later on in life, we thought we’d take a look at what exactly spider veins are and how you can help reduce your chances of forming them. Spider veins are the small, spindly veins you may find twisting their way through your legs. Their formation resembles a spiders web, hence the name, and they can be red, purple or blue in colour. Unlike their thicker cousins, varicose veins, spider veins are harmless and present more of an aesthetic problem to the sufferer, rather than creating any form of physical pain. What exactly are spider veins though? It’s certainly not as if your once invisible veins decided they suddenly wanted to push their way to the surface of your skin, after all. Spider veins are, essentially, caused by a breakdown of vein tissue, though there could be a number of factors which cause this. Working on your feet 24/7 can cause spider veins to appear along your legs. Jobs such as being a teacher, a shop assistant, waiter/ waitress and similar roles require you to be on your feet for long periods of time. This has a great impact on your veins as the entire weight of your body is forced upon your legs. Though spider veins are harmless they can, as we mentioned in our previous blog, cause a person to feel very uncomfortable with their appearance. One way you can help lessen your chances of getting Spider Veins is by wearing support stockings which help to support your legs and lessen the force of your body weight. We’re constantly bombarded through the news and media with articles about healthy eating and how much of which food categories you’re supposed to be consuming. Though these can get tedious after a while, consuming the proper portions and types of food can have a significant impact on your body. A healthy lifestyle can greatly improve your physical weight which, when on your feet all day, can help lessen the force applied to your legs, therefore reducing your chances of forming spider veins. 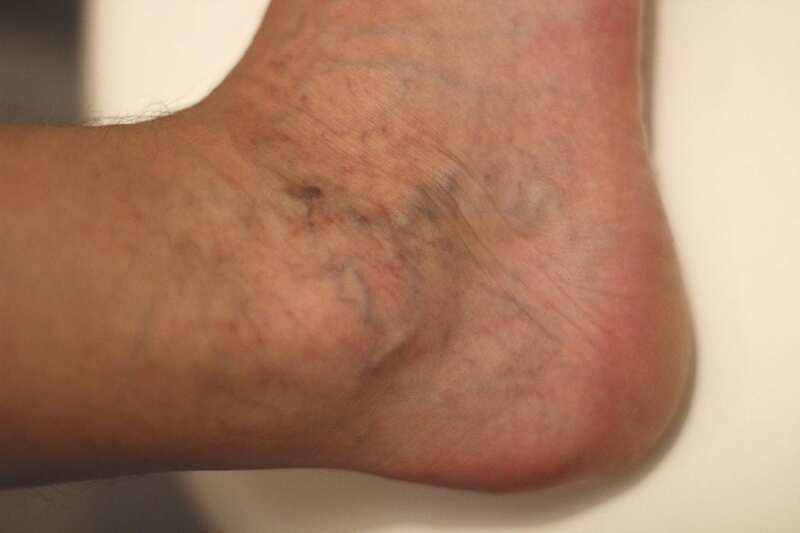 Spider veins can also form alongside varicose veins or with poor blood circulation. Though varicose veins are genetic, and most of the time unavoidable, you can reduce your chances of getting spider veins by exercising. We don’t mean you need to become a gym fanatic, nor do we mean you must take part in rigorous exercise every day. Instead you can keep active by choosing to walk or cycle into town rather than drive or take the bus. 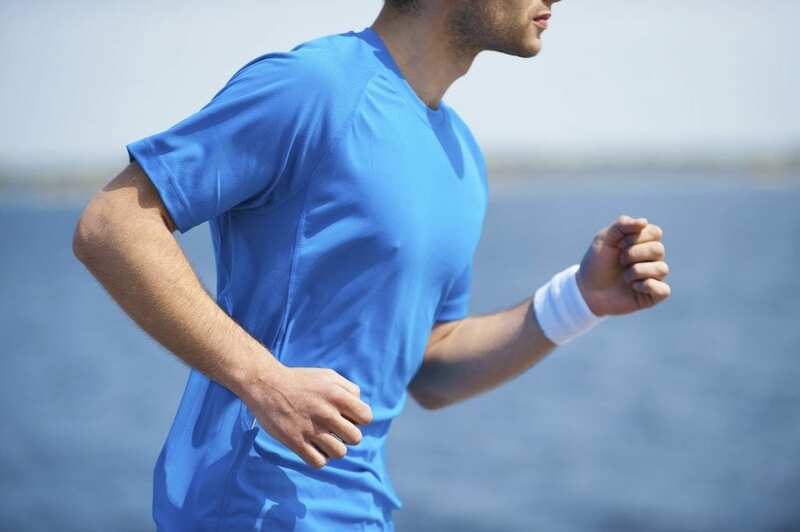 Alternatively, a short jog or a gym class once or twice a week is enough to keep the blood pumping through your veins, giving your body sufficient blood circulation for healthy veins. Of course once spider veins have formed, no amount of exercise you do will get rid of them. If you find your spider veins are making you self-conscious, don’t let yourself get upset. Advancements in technology have made our sclerotherapy in the Channel Islands cond to none. Get in touch with us today on 01481 736699 and we’ll help answer any and all questions you may have about the procedure. We want all of our clients to feel as comfortable and secure as possible, so, if you’d like to find out more about us why not take a look at our Facebook, Twitter and YouTube pages?